The Veterans Affairs Department is asking Congress for expedited hiring authority and bonuses to help recruit and retain employees in conjunction with its push for expanding veterans’ access to private sector health care. VA Secretary David Shulkin made the request at a congressional hearing on Tuesday to examine both the administration’s and the House Veterans' Affairs Committee’s proposals to consolidate “care in the community” programs and eliminate some restrictions on which veterans can receive private care on the department’s dime. Lawmakers were receptive to Shulkin’s ask, vowing to work with the administration to address the ongoing vacancy crisis. Shulkin cited mental health care as an example, noting VA set the goal of hiring a net of 1,000 new providers. It has onboarded 900 while losing 945, meaning it has actually seen a net decrease. “We went backwards,” Shulkin said. The secretary said the easiest path forward would be to include reforms such as increased direct hiring authority and retention and recruitment bonuses into the ongoing choice reform effort. He also asked Congress to address pay gaps at the department, noting its nurses’ starting salaries are 20-30 percent lower than in the private sector. “Just put it in the bill,” Shulkin said. While there is significant overlap in the bills from the administration and committee Chairman Rep. Phil Roe, R-Tenn., some differences persist. Roe faulted Shulkin for being “light on details” in the department’s legislation, the Veterans Coordinated Access and Rewarding Experiences (CARE) Act. Both VA’s and Roe’s bills would eliminate rules for the Veterans Choice Program that require a veteran to live 40 miles from a VA facility or face a 30-day wait to receive care in order to become eligible for private care on the department’s dime. That program, created by a law President Obama signed in 2014, got off to a rocky start but has since gained popularity. Shulkin said Congress must take action this year, as funding will expire for the choice program. President Trump extended the shelf life of the program in August by signing a stopgap measure. That law injected the program with $2.1 billion, about $1.1 billion of which still remains. The committee is progressing toward winning over the support of nearly all the various players in the fight over the future of VA health care. None of the veterans service organizations testifying at the hearing, namely Veterans of Foreign Wars, Disabled American Veterans and the American Legion, identified any “deal breakers” in Roe’s draft bill. They did name some small issues with the proposed legislation, which Roe promised to address. Rep. Tim Walz, D-Minn., the top Democrat on the committee, said after the hearing he was “pretty close” to lending his support to the measure and even said “at some point” he may add his name as a cosponsor. A major sticking point of any future legislation will be how lawmakers pay for it. Walz said he will need to see the “pay-fors” before he can endorse a bill. The measure is expected to come with a hefty price tag, but has yet receive a score from the Congressional Budget Office as it is still in draft form. Roe has pushed for VA to go through a process similar to the Defense Department’s Base Realignment and Closure Commission to help offset costs. 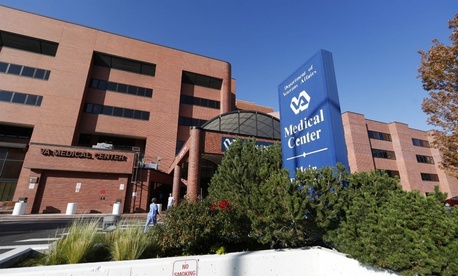 Lou Celli, the American Legion’s national VA director, said his group would draw a line in the sand for legislation that calls for veterans to take on any cost-sharing responsibility for service-connected injury or sickness. Despite the cordial tone of the hearing and areas of broad agreement, lawmakers will still face a fight to get legislation approved. The AFL-CIO, which represents 12.5 million workers, announced on Tuesday it would fight against “efforts to privatize veterans’ health care.” The union is the parent organization to the American Federation of Government Employees, which represents 230,000 VA employees and has also announced staunch opposition to the expansion of private care for veterans. AFGE has held dozens of rallies across the country in protest to what it calls an intentional degradation of the VA system.